Did You Notice the Secret Message Behind Hillary During Last Night’s Debate? 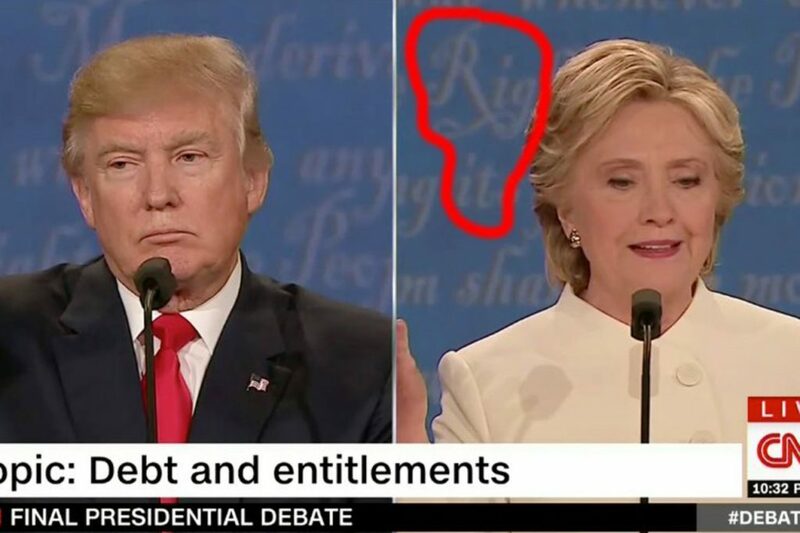 But others caught the fact that, as Hillary moved back and forth in front of the words on the background (ironically from the Declaration of Independence of all things), it kept spelling out “Rig it” right over her shoulder. It’s as if even the universe itself is screaming out how fake and rigged this entire election is.